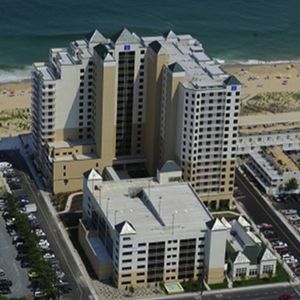 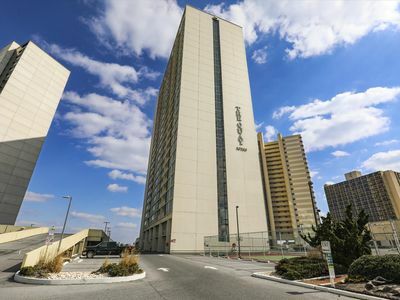 Ocean Front Complex In North Ocean City, Great View Of The Beach! 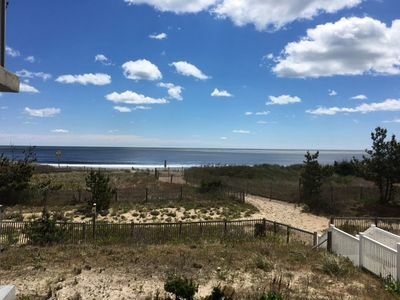 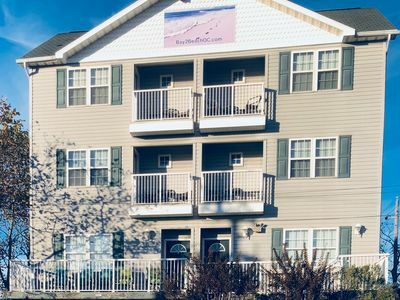 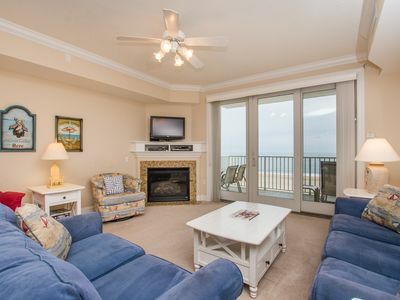 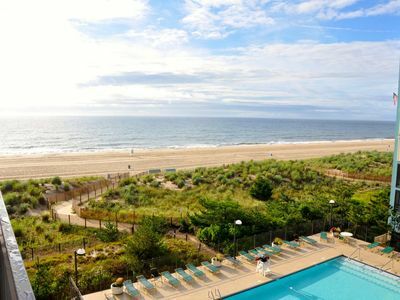 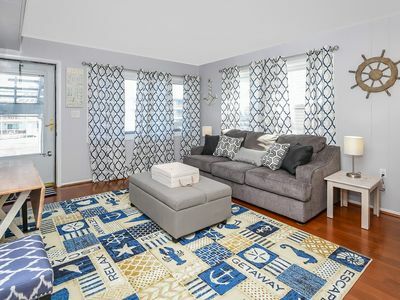 Kick back and enjoy a wonderful expansive ocean view in this modern and tastefully decorated, well equipped condo unit in the sought after Braemar Towers, on 131st, North Ocean City, Maryland. 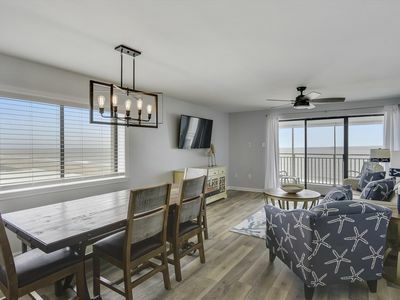 The condo offers a wonderful opportunity to enjoy your next vacation or weekend break with all the amenities and comforts designed to maximize your enjoyment and to create lasting holiday memories. 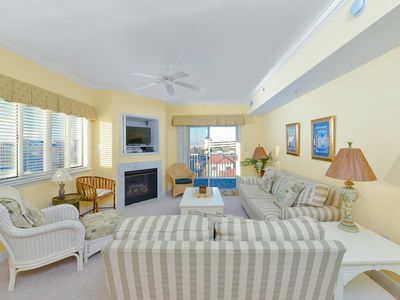 Our condo is located one unit back from Ocean front, on the 5th floor in the north tower and offers a fantastic beach view, in addition to overlooking the large in-ground pool and a bayside view from the private balcony. 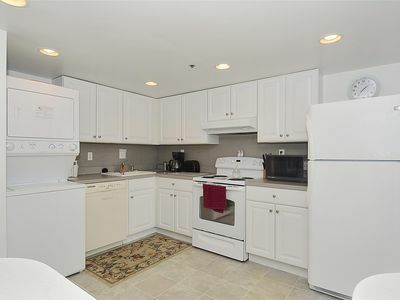 Kitchen offering under cabinet lighting, cookware/utensils, counter seating, toaster oven and keurig coffee machine. 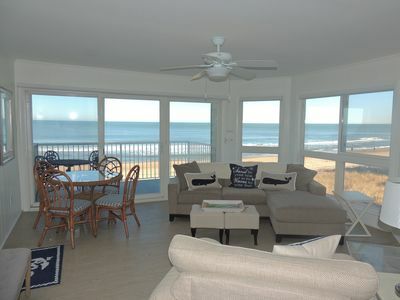 The master bedroom offers a comfortable queen bed, with view of the ocean and direct access to the private balcony. 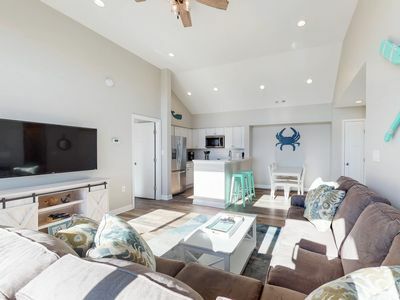 The second bedroom offers a twin over twin bunk bed, a twin bed with the option to utilize the trundle, providing sleeping arrangements for 4, also including a PS3 game console with various games. 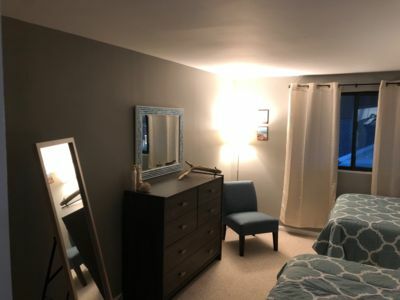 2 full modern bathrooms with shower over tub. 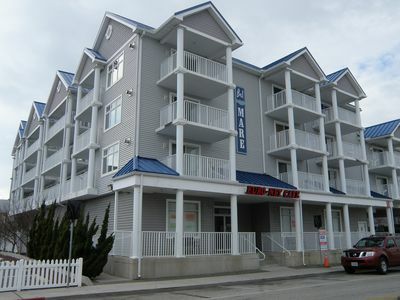 Each of the bedrooms and living room have modern flat screen TV’s, unit also has hi speed WiFi internet. 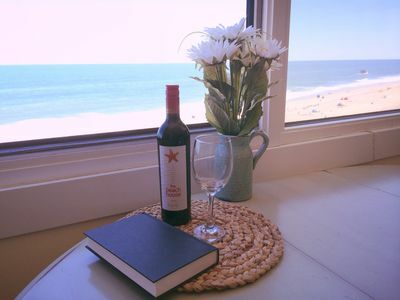 But why spend all your time indoors? 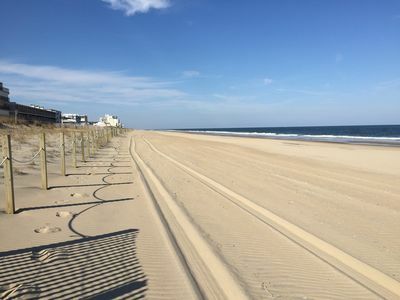 Once you are done with the pool why not grab the complimentary beach chairs and umbrella from the condo’s beach locker (located next to pool) and head to the surf, literally only steps away! 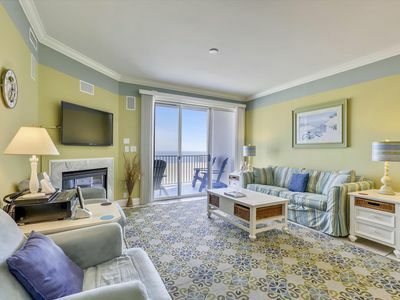 As part of your stay at the Braemar, check out the games room on the sundeck level or grab a game of tennis on either of the two private courts. 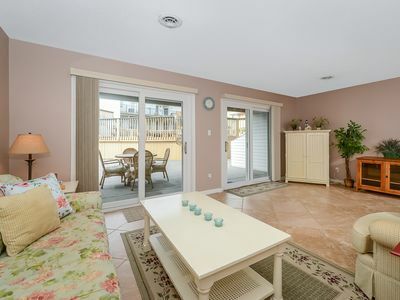 Finally, you can keep in shape by using the exercise room located at ground level. 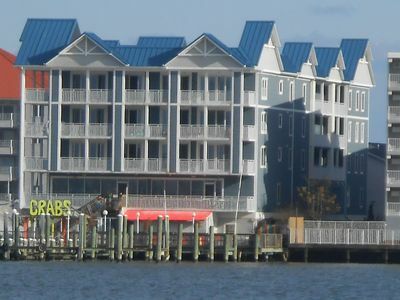 We appreciate your interest in our beach side getaway, and look forward to hearing from you in the near future! 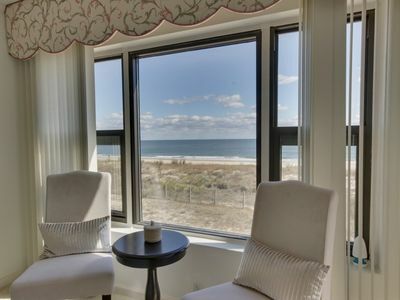 Coffee & Sunrises on Your Balcony - Upscale Condo on OCMD Boardwalk! 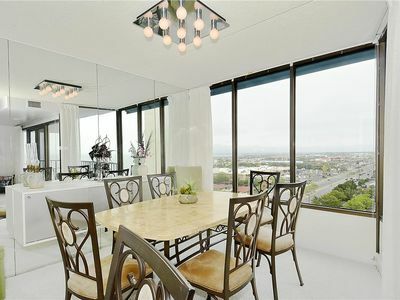 Bayview condo w/ shared pool & fantastic location near parks, shopping, dining!